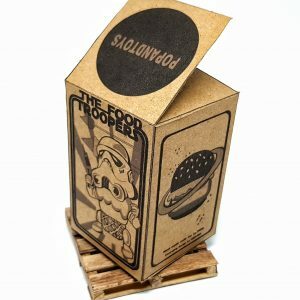 For centuries, people from planet crudity have imposed their healthy food law throughout the galaxy. 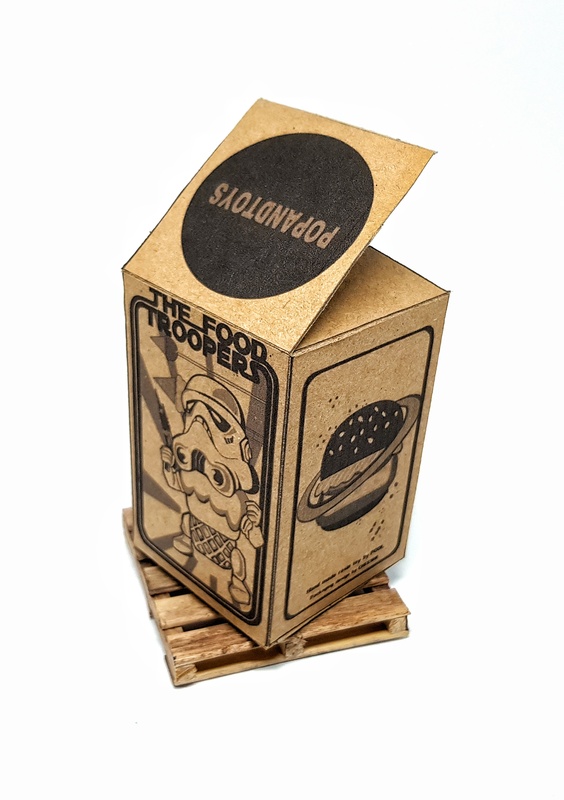 But hidden in the shadows, someone has been plotting a counter-attack: The FOODTROOPERS are bringing back the junk food! 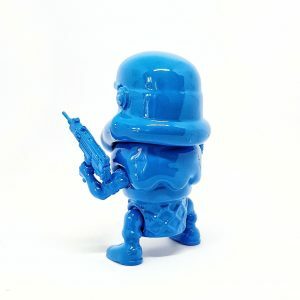 Warning: It will be messy! 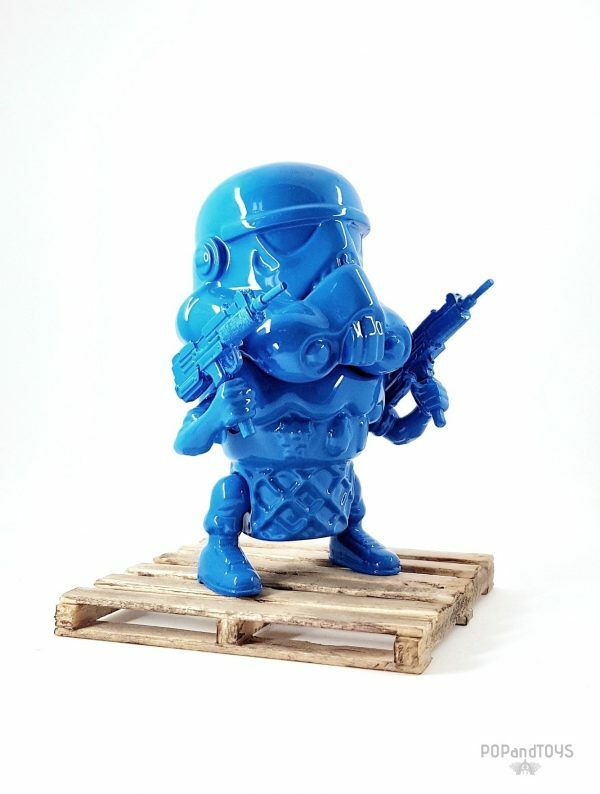 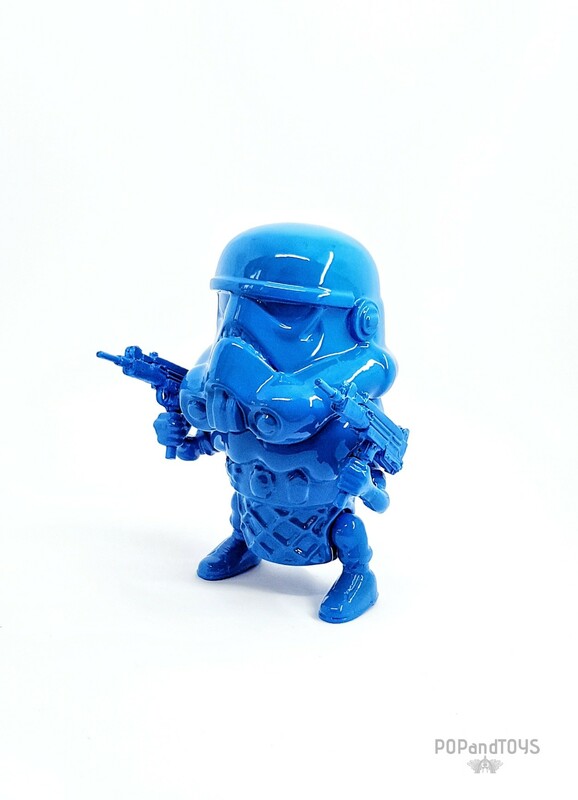 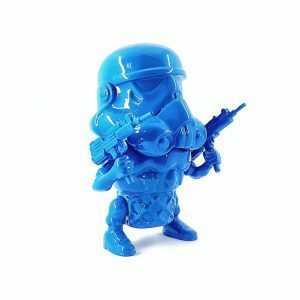 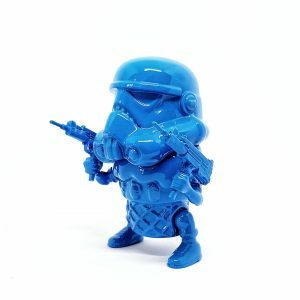 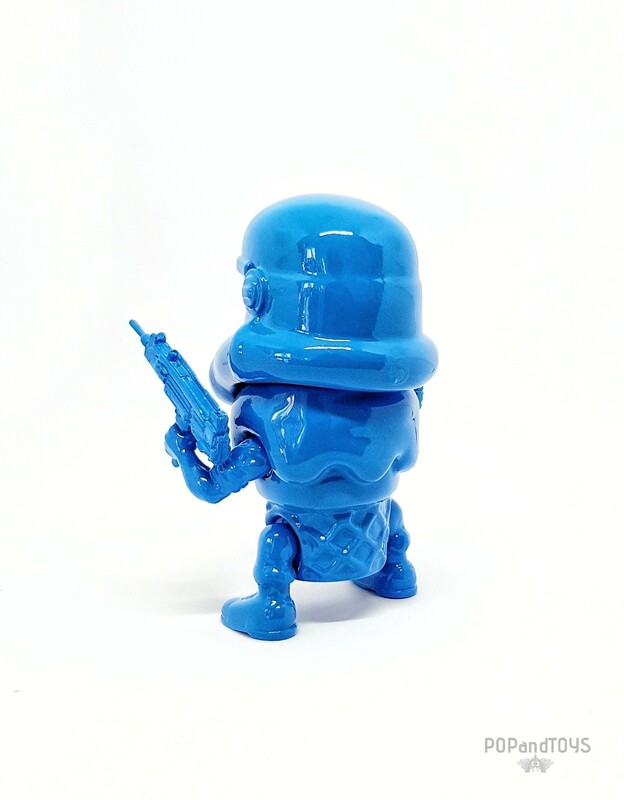 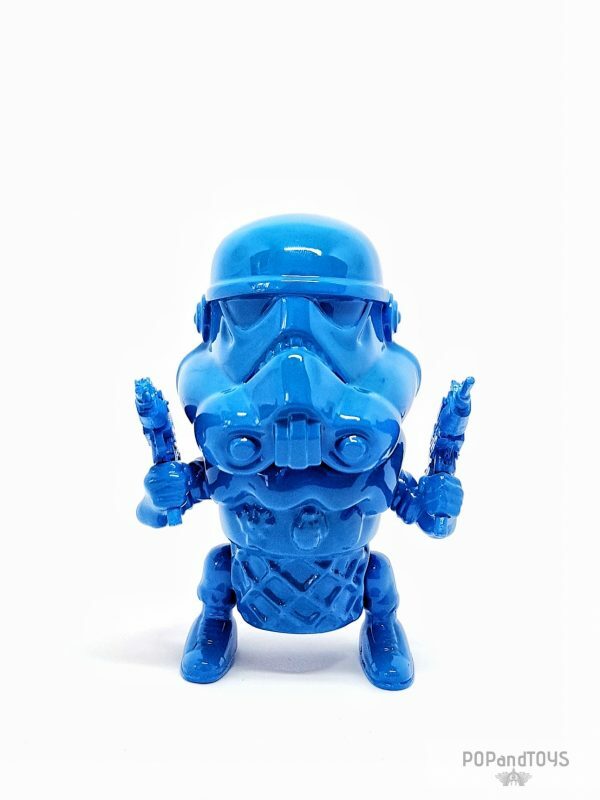 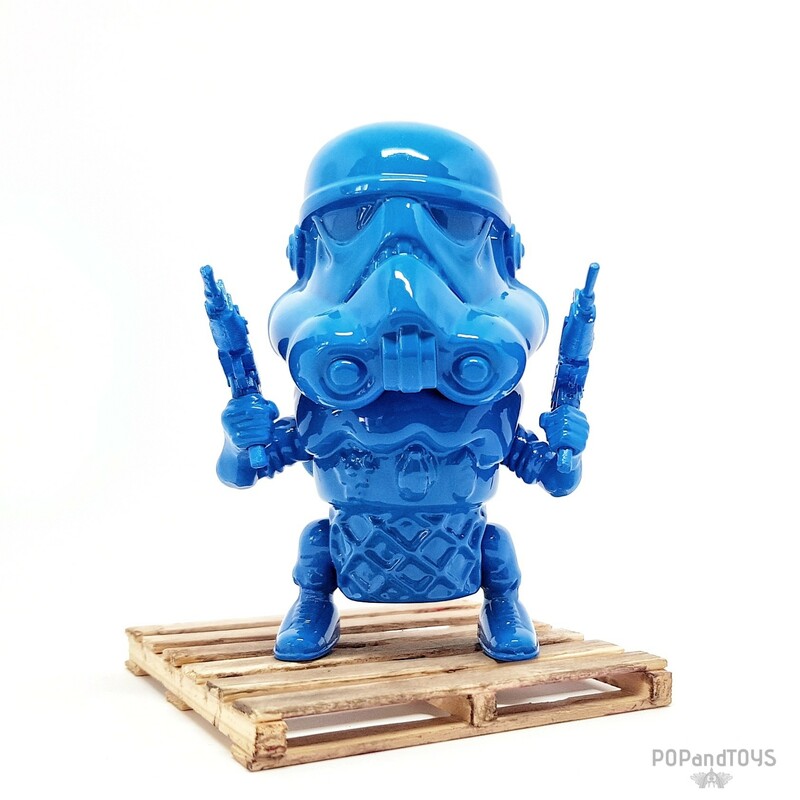 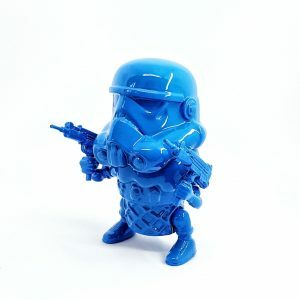 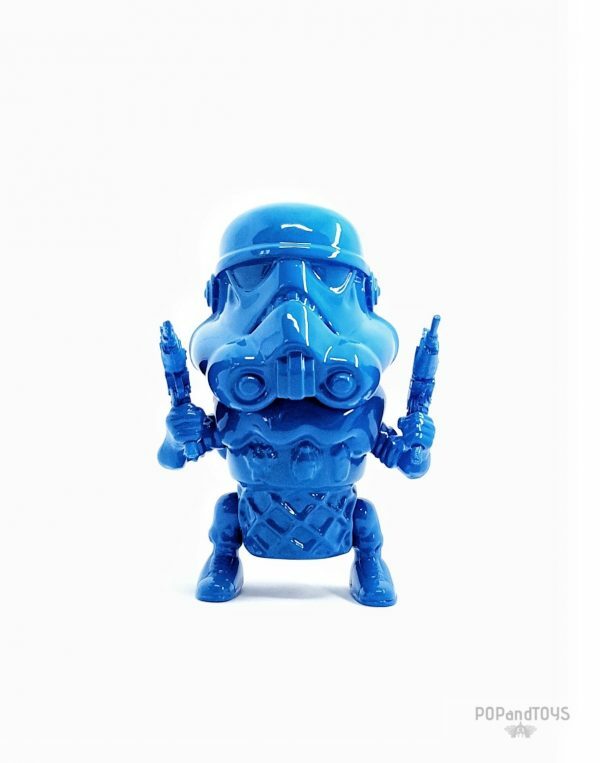 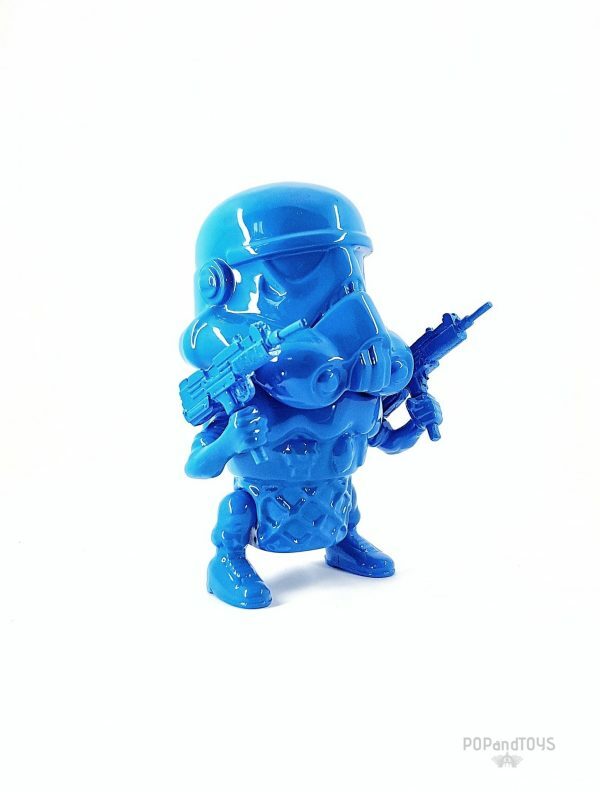 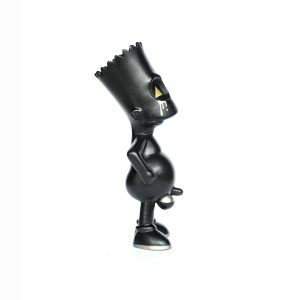 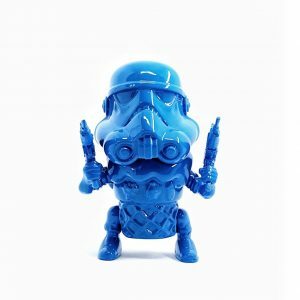 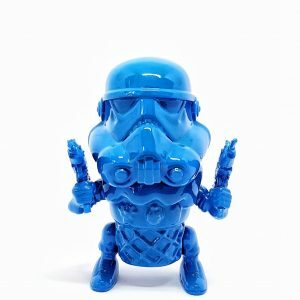 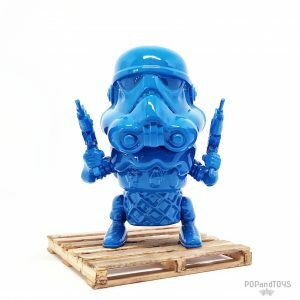 PoOL’s (Popandtoys) FoodTrooper Blue Edition is a completely handmade and hand-painted resin toy, made in Paris. 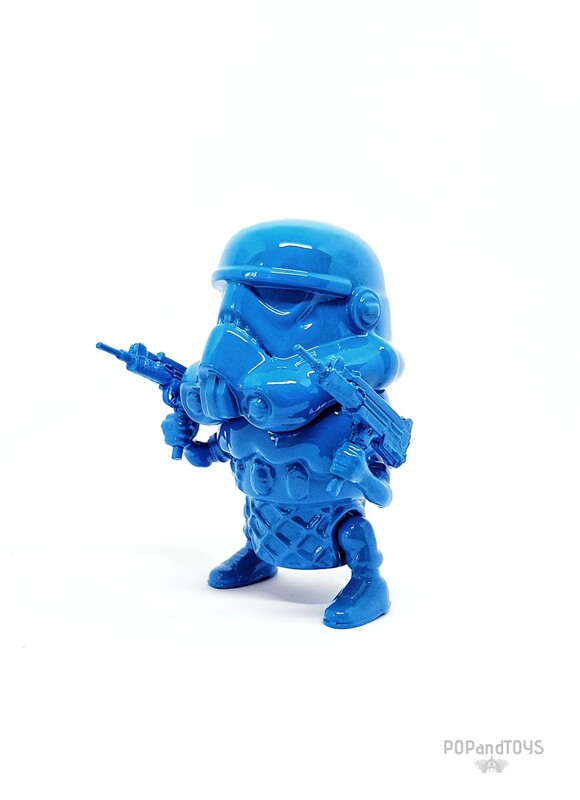 From prototype to mold, I personally executed every phase in the creation of FoodTrooper as well as controlled all quality checks. 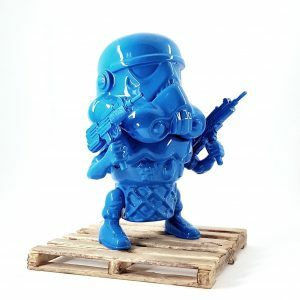 FoodTrooper is a unique piece made and prepared exclusively for my very first designer toy auction and ATAD.